In today’s NHL rumor rundown there are updates on the Philadelphia Flyers and Los Angeles Kings and their respective coaching searches, a few New York Islanders are showing their stuff, namely, Jordan Eberle and the Arizona Coyotes need to find a way to boost their offense while not spending money. Flyers Talking With Alain Vigneault? 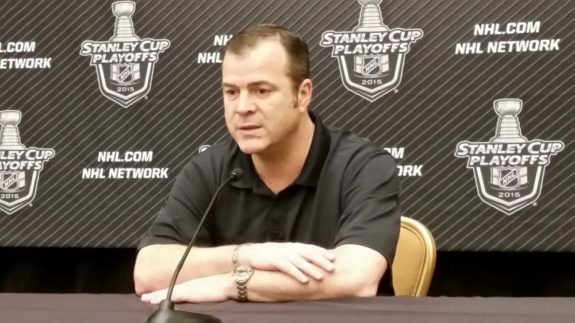 He’s not often at the top of the available coaches list but one name the Flyers might be talking to is former New York Rangers and Vancouver Canucks coach Alain Vigneault. The Flyers have asked for (and been granted) permission from the Rangers to speak to Vigneault, reports Sportsnet’s, Elliotte Friedman. Vigneault has one year left on his existing deal with the Rangers and is due to see a pay increase while sitting at home. If the Flyers want him, they’ll probably have to offer more than $4.25 million and assume some of his salary for the coming 2019-20 season. Vigneault is next scheduled to lead Team Canada at the upcoming World Championships. Any deal could be announced before he starts that job. Sam Carchidi reports that the Flyers said that there is no timetable to name a new head coach, but it would be “well before” the draft in June. Bob McKenzie tweeted that Todd McLellan isn’t a candidate for the Buffalo Sabres head coaching position anymore. 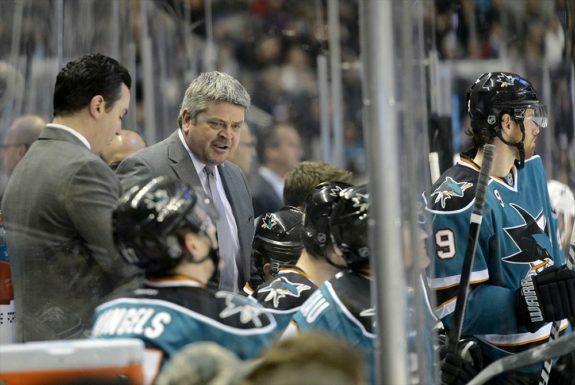 Instead, McLellan is expected to be named the next coach of the Los Angeles Kings which has long been rumored as his preferred destination and the Kings were actively pursuing him. Dennis Bernstein reports the deal is expected to be for five years and should be announced as late as Monday, if not sooner. 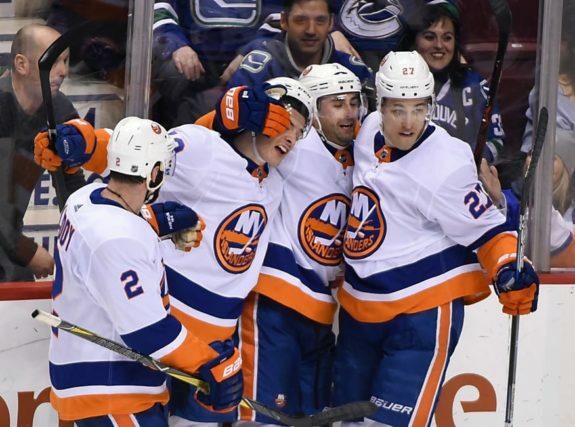 Brett Cyrgalis of the New York Post writes that the New York Islanders are going to find it more challenging to keep pending unrestricted free agents like Anders Lee, Robin Lehner, Jordan Eberle, and Brock Nelson if they continue to stay hot during the playoffs. While focusing on the task at hand, he understands too, the better they play the more other teams will come calling this summer and the more expensive it will get to keep their core. In particular, Cyrgalis suggests Eberle could be playing his way to a bigger offer in free agency. He finished the regular season strong and has a goal and an assist in each of the first two games of the postseason, Eberle is erasing questions of his productivity during playoff time. Should he keep it up, Cyrgalis believes suitors will be lining up for his services. Greg Wyshynski and Chris Peters of ESPN.com are reporting the Arizona Coyotes will focus on boosting their scoring this offseason. The limited market via free agency and the team’s unwillingness to spend big money on available players could hamper that agenda. As a result, Arizona may search the trade market. Danny Shapiro of Arizona Sports added GM John Chayka said, “We didn’t score enough goals, so we have to go through and figure out how to get more out of our own group and how to add to the group and that’s the summer plan.” Outside of hoping injured players rebound, that could mean trying to offload players who didn’t produce while adding players who did… basically, the same dilemma facing every team in the NHL.